This is a common question to ask. The answer, however, isn’t always so simple. It depends on several factors. There’s no fixed cost of life insurance for everyone, and the amount often differs from person to person. That’s because insurers consider a variety of factors when calculating the cost of your life insurance plan. No matter the cost, one thing is clear: the real cost of life insurance is often not as expensive as you think. Stepped premiums are a premium structure where your premiums change throughout the life of your policy. Every time your policy is renewed, your premiums are recalculated to reflect factors such as your age and health. Because older people are more likely to make a claim or face medical issues as they age, your premiums tend to become more expensive as you get older in this structure. So while stepped premiums often start off much cheaper than level premiums, they are likely to get more expensive over time. Level premiums, meanwhile, feature premiums that remain relatively constant throughout the policy duration. The rate of your premium is calculated and based on your age, health, and circumstances at the time of your application. This rate then stays relatively constant throughout the life of your policy, with adjustments only made when the insurer changes their rates or when the level of insurance changes. Level premiums are typically more expensive at the beginning than stepped premiums, but they often result in larger savings over the life of your policy. There are usually two types of exclusions in life insurance: general exclusions and specific exclusions. If you compare life insurance from different providers, you’ll find that each will have their own guidelines and definitions for these exclusions. Despite their differences, however, you’ll find the following to be common life insurance exclusions applied today. What Does a Life Insurance Medical Exam Test For? The medical examination process is a lot simpler and straight forward than many people realise. There are many different types of medical exams that insurance companies might request; they can vary from something as simple as a 10 minute check by a nurse to a full examination by a doctor. Is Life Insurance Tax Deductable? Mortgage protection insurance is a form of life insurance that will assist with your outstanding mortgage (or part of it) if you die or become unable to make mortgage repayments because of a disability, an illness, or job loss. It typically runs for the duration of your mortgage and ensures that your mortgage repayments will be paid for if something happens to you. This form of insurance is designed to prevent the bank from losing money on their loan if something happens to you. 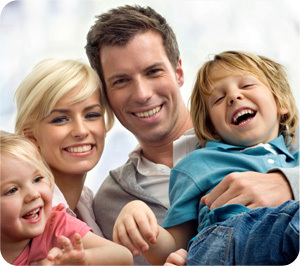 Compared to most other types of life insurance, however, mortgage protection insurance is often more expensive. It’s also usually offered only by banks and mortgage brokers because of its specialised nature. Although trauma insurance covers a variety of serious injuries and illnesses, there are exceptions to what it can cover, including self-harm or suicide, some pre-existing medical conditions, and undisclosed medical conditions. What Will TPD Insurance Cover Me For? How Much Income Protection Insurance Do I Need? Most income protection policies will cover you until you turn 60, 65, or 70 years old, depending on your insurer and their guidelines. How Long Does Income Protection Last? Meet regular payments - rent, mortgage, credit cards, etc. Do you provide advice on the amount or type of cover I need? Yes, unlike most websites, we not only do premium and product comparisons. We have highly qualified advisers and our principals are two of the most experienced and highly regarded advisers in Australia. The amount and type of cover should not be selected at random. This is a very important decision and we strongly suggest that you talk to one of our advisers. There is no charge for this service. To contact an adviser, click here. We use all the major insurance companies in Australia but recommend that you choose one of our Platinum Partners. For more information about them and why we recommend you use them, click here. We do not charge fees. We get paid a commission by the insurance companies. For more information, please refer to our Financial Services Guide. Am I locked into the policy for any length of time? No, you can cancel your policy at any time with no penalty and no further obligation on your part. Am I covered whilst travelling overseas? Generally yes, but you should call us or check your policy as occasionally there may be exclusions to this. No, not unless you stop paying premiums or in some cases where they discover that you have failed to disclose a material fact at the time of application. Do I need a medical examination when buying a policy? Not necessarily. This depends on your age and the level of cover that you have chosen. If you are healthy, you are very often able to buy large amounts of cover with no medical examination. For more information contact one of our advisers by clicking here. Contact us. At Cover Australia, we pride ourselves on offering an ongoing service of the highest order. We will handle your claim from beginning to end to ensure that you receive all the benefits you are entitled to in the most efficient manner and with the least amount of stress on you. Most insurance companies offer the ability to pay monthly, quarterly, half yearly or annually and by credit card or direct debit from a bank account. Some companies also offer the ability to pay by BPay but that is generally not for monthly premiums. It should be noted that annual premiums are lower than monthly premiums and the saving is normally about 8%. Yes, there can be significant tax implications and we suggest that you read the Product Disclosure Statement or better still, click here to contact one of our qualified advisers.